Keep your cholesterol and blood pressure levels in check and avoid heart problems. During the month of February, Americans see the human heart as the symbol of love. 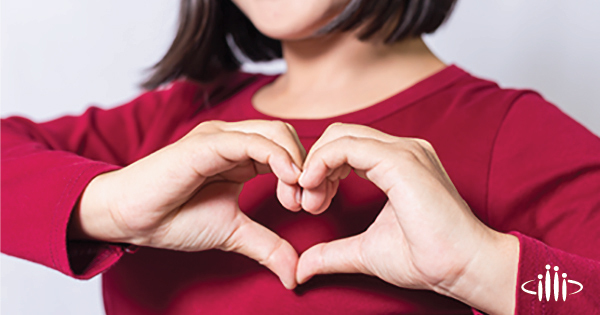 February is American Heart Month, a time to show yourself the love. Learn about your risks for heart disease and stroke and stay “heart healthy” for yourself and your loved ones. Would you buy your dream home without an inspection to look for hidden problems that could be expensive disasters later? Your body is the home you can’t move out of. And, just like detecting hidden plumbing problems takes the eye of a trained expert, dangerously high cholesterol and blood pressure numbers can sneak under your radar without making you feel sick. “Cardiovascular diseases are the number-one cause of death of American men and women,” says Dr. Brady Martin, a family medicine specialist at Bingham Memorial Hospital. “It’s important to know and understand your cholesterol and blood pressure numbers, and how to fix them to keep your heart healthy for a lifetime.” The National Cholesterol Education Program recommends that adults aged 20 years or older have their cholesterol checked every five years. Every cell in your body needs cholesterol, but the problem comes when we have excessive amounts of a certain type of cholesterol floating in the blood. Low-density lipoproteins (LDL) particles carry cholesterol to the cells. Too many of these delivery trucks means extra cholesterol can build up in the inner lining of blood vessels. An LDL level under 100 is the goal for the general population. High-density lipoproteins (HDL) are considered “good” because they act like little garbage trucks that carry cholesterol to your liver, where your body gets rid of it. An HDL reading of 60 or higher is desirable. “Blood flows well along a smooth surface,” says Dr. Martin. “When too much LDL gunks up your blood vessels, it causes that inside surface to become bumpy.” Blood doesn’t flow smoothly and platelets can be alerted to fix what they perceive as an injury, leading to blood clots that can cause a heart attack or a stroke. Blood pressure is measured in two numbers, systolic over diastolic. Systolic is the blood pressure when the heart beats, and diastolic is the pressure when the heart relaxes. Unlike a steady stream of water through a pipe, blood pressure is a series of forceful pulses. The higher the blood pressure, the more it beats on the side of the artery and can cause damage over time. Damaged blood vessel walls are more vulnerable to the plaque buildup that raises heart attack and stroke risk. High blood pressure also makes vessels stiff and inflexible over time, stressing the heart and increasing the risk of heart failure. “In the past, it was suggested that an average blood pressure was 120/80,” Dr. Martin says. “However, those guidelines have become more relaxed.” According to the Joint National Committee (JNC 8) hypertension guidelines, a blood pressure in the 130s/80s is acceptable today. Be aware of your family history but don’t feel doomed by it. “Multiple genes provide risk for hypertension,” Dr. Martin says, “but lifestyle affects the expression of those genes.” Even if you’re at risk of developing high blood pressure, you can—through lifestyle choices—influence how soon you develop it and how high it gets. Lifestyle also makes an impact if you’ve inherited a tendency to have high cholesterol numbers. Exercising regularly, not smoking and managing your weight can improve both high blood pressure and cholesterol levels. Lowering salt and alcohol intake can also lower blood pressure, and eating plenty of fruits, vegetables, whole grains and healthy fats is good for cholesterol levels and heart health. The American Heart Association recommends you consume less than 1,500 milligrams of sodium each day. With complete cardiology coverage throughout Eastern Idaho, learn more about all of our cardiologists.